Opening of no-frills accounts: The Bank account open under PMJDY does not require minimum balance. And Overdraft facility up-to ₹.10000 is also available after six months. Interest is on deposit. Free RuPay debit card for account. Relaxation on know-your-customer (KYC) norms: Person don't have valid identification document can also open bank account. This type of account call "Small Account" , can regularised within one year. Engaging business correspondents (BCs): Account opening and bank transactions are through business correspondent. Usually business corespondent appointed in remote rural area where bank branches not present. Use of technology: Bio-metric based account opening and transaction are available through business correspondent. This helps illiterate people also do banking. Direct Benefit Transfer: The government subsidies are directly transferred to the beneficiary. This reduces delay and leakage to get service. Insurance: Accidental insurance cover of ₹.2.00 lac. 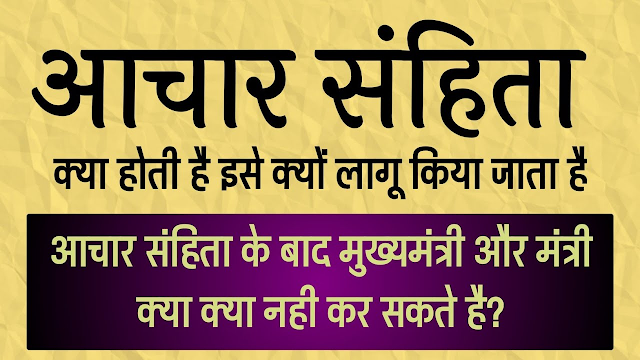 provide life cover of ₹. 30,000/- payable on death of the beneficiary. Due to the preparations done in the run-up, as mentioned above, on the inauguration day, 1.5 Crore (15 million) bank accounts were opened. The Prime Minister said on this occasion- "Let us celebrate today as the day of financial freedom." By September 2014, 3.02 crore accounts were opened under the scheme, amongst Public sector banks, SBI had opened 30 lakh (3 million) accounts, followed by Punjab National Bank with 20.24 lakh (2 million) accounts, Canara Bank 16.21 lakh (1.62 million) accounts, Central Bank of India 15.98 lakh (1.59 million) accounts and Bank of Baroda with 14.22 lakh (1.42 million) accounts. On 20 January 2015, the scheme entered into Guinness book of world records setting new record for 'The most bank accounts opened in one week'. The balance in Jan Dhan accounts rose by more than ₹270 billion (US$3.8 billion) between 9 November 2016 and 23 November 2016. 19 lakh householders have availed the overdraft facility of ₹2.56 billion (US$36 million) by May 2016. Uttar Pradesh and West Bengal have got 29% of the total deposits under the scheme,whereas Kerala and Goa became the first states in the country to provide one basic bank account to every household. The total number of account holders stood at 294.8 million, including 176.1 million account holders from rural and semi-urban branches. A total of 227 million RuPay cards have been issued by National Payments Corporation of India (NPCI) till August 2017. The amount of deposits rose to ₹656.97 billion (US$9.1 billion) by August 2017. According to an analysis of various studies, "Beyond enabling account ownership and the use of financial services, the PMJDY also facilitated financial inclusion for a variety of demographics. While the programme has made significant headway towards genuine financial inclusion, it is clear that improving policy communication, widening and deepening progress in low-income states, and ironing out the kinks in the bank-agent model will be crucial if these hard-fought gains are to prove sustainable." At least 30 crore new families have got Jan Dhan accounts in which almost Rs 65,000 crore have been deposited, Prime Minister Narendra Modi said on 28 August 2017, on the eve of third anniversary of the scheme aimed at financial inclusion. The scheme has been criticized by opposition as an effort to please voters that has created unnecessary work-burden on the public-sector banks. It has been claimed that the poor deserve food more than bank accounts and financial security. Further, these accounts have not yet added considerable profits to PSU banks. According to the experts, offers like zero balance, free insurance and overdraft facility would result in duplication. Many individuals who already have bank accounts may have had accounts created for themselves, lured by the insurance covers and overdraft facilities. As per the scheme, a very few people are eligible to get the life insurance worth ₹30,000 (US$420) with a validity of just five years. The claimed overdraft facility has been completely left upon the banks. As per the government notice, only those people would get the overdraft facility whose transaction record has satisfactory operations in their account for some time. In addition, while the Indian Government was actively attempting to promote financial inclusion through this scheme, the Reserve Bank of India, permitted banks to charge customers for conducting ATM transactions beyond a certain number of times per month. This effectively prevented people from easily accessing their own savings and discouraged them from using formal banking channels. You can download the application form for Pradhan Mantri Jan Dhan Yojana from the scheme’s official website, fill it out, and submit it at the local bank branch. You will also have to provide some documents along with the form to avail this scheme. Pradhan Mantri Jan Dhan Yojana is an excellent and innovative scheme to boost social security in the country and to ensure that all citizens in all parts of country are connected financially. The scheme aims to foster the saving trend in citizens by making available a savings account to each family in the urban, semi-urban as well as rural parts of the nation. The scheme also brings along an inter-linked life insurance as well as accidental insurance policy. This will help bring crores of Indians under the purview of insurance protection who otherwise are unable to afford insurance. The application form for Pradhan Mantri Jan Dhan Yojana is known as Financial Inclusion Account Opening Form, based on the aim of financial inclusion that the scheme wishes to realize. Following are the contents of the form which needs to be duly filled and submitted in order to avail the Pradhan Mantri Jan Dhan Yojana Scheme. A duly filled copy of the Pradhan Mantri Jan Dhan Yojana form is to be submitted to the bank where you are opening your account. 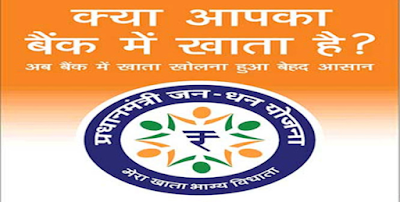 Usually all participating banks will have a Jan Dhan Yojana dedicated desk where you will be helped by Jan Dhan Professionals called Bank Mitr who will help you with the form submission and account opening procedure in order to obtain Pradhan Mantri Jan Dhan Yojana Account. The account opening form needs to be submitted along with certain ID proofs like identity and address proofs. However, applicants with a valid Aadhar number will not be required to submit any extra proofs. Also, two passport sized photographs needs to be furnished to the bank at the time of account opening. Information kit by the bank. To apply for the account, you will be required to download the application form in PDF format (available in Hindi and English) from the official website for the scheme. You can choose a file of either language, as per your convenience. In the downloaded form, you have to fill in the name of the bank, along with the bank code. Also update the bank branch, name of the village and town, block name/sub district, district, state, ward number/SSA code, village code, and town code. Enter your personal information, such as name, address, occupation, Aadhaar number, annual income, existing bank accounts of your family members, and details of your kisan credit card. You should also tick the checkbox in order to receive a Rupay debit card. You should next enter the nomination details and submit the form to the nearest bank branch. You should ensure that the form is filled in accurately. In case you have any queries, you can approach the bank officials for clarification before submitting the form. Permanent/temporary address proof that could be an electricity bill, water bill, or gas connection bill. Once the account has been set up, the account holder can take a loan of up to Rs.5,000 from the bank after 6 months of opening the account. This loan benefit will offer consolation to many beneficiaries under the scheme who are below the poverty line. They can utilise this loan amount to invest in more profitable ventures or in agricultural prospects. Account holders under the scheme can also avail insurance coverage worth Rs.30,000 if they satisfy certain conditions. This includes being in possession of an accidental insurance coverage above Rs.2 lakh, and opening of the account by 26th January, 2015. PMJDY also enables account holders to check bank balances and transfer funds through their mobile phones.